¡Viva! 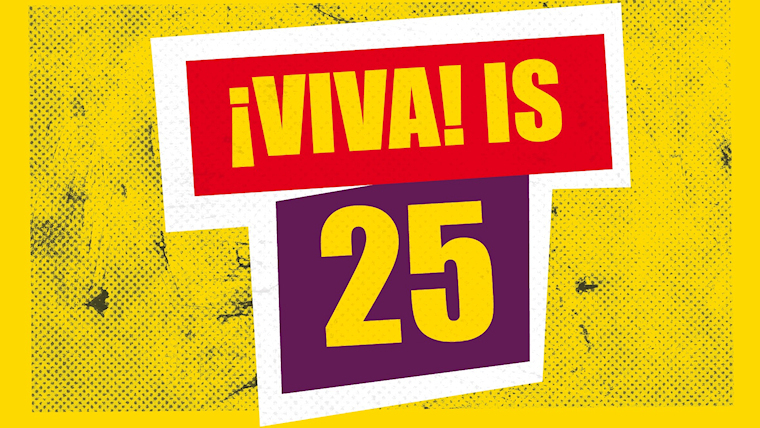 Spanish & Latin American Festival turns 25 today! Join HOME for the opening night birthday party tonight! Opening tonight, ¡Viva! Spanish & Latin American Festival returns to HOME for it’s 25th edition with a specially selected programme of the most exciting film and theatre from across the Spanish-speaking world. To mark the festival’s quarter of a century, join HOME for their Opening Night Birthday Party as they celebrate 25 years of cross-border art. Featuring DJ sets, cake, sangria and a special fire-drawing spectacle, put on your dancing shoes and help blow out the candles. Señor Serrano return to headline ¡Viva! following sell-out show Birdie in 2017. Using footage from the various King Kong films (originals and remakes), witness this unique, cinema-in-real-time event on HOME’s Theatre 1 stage. We'd love for you to experience this show with us, so we are offering you a BRING A FRIEND FOR FREE code, available on full and concessionary rate tickets. To redeem it, add your tickets to the basket and enter VIVABIRTHDAY.